Lau Fau Shan is a small fishing village on Deep Bay in the west of New Territories. The place was well-known for cultivating oysters because it is close to the Pearl River (Zhujiang River) in China and got sufficient fresh water. Although lots of villagers have left here, people still can see hundreds of floating rafts on Deep Bay raising oysters and scallops. But due to the pollution of the water and the establishment of the new city town (Tin Shui Wai) and Lung Kwu Tan Power Station nearby, the fishing business at Lau Fau Shan has been declining. Nowadays, it has become one of the most popular places to see sunset in Hong Kong. 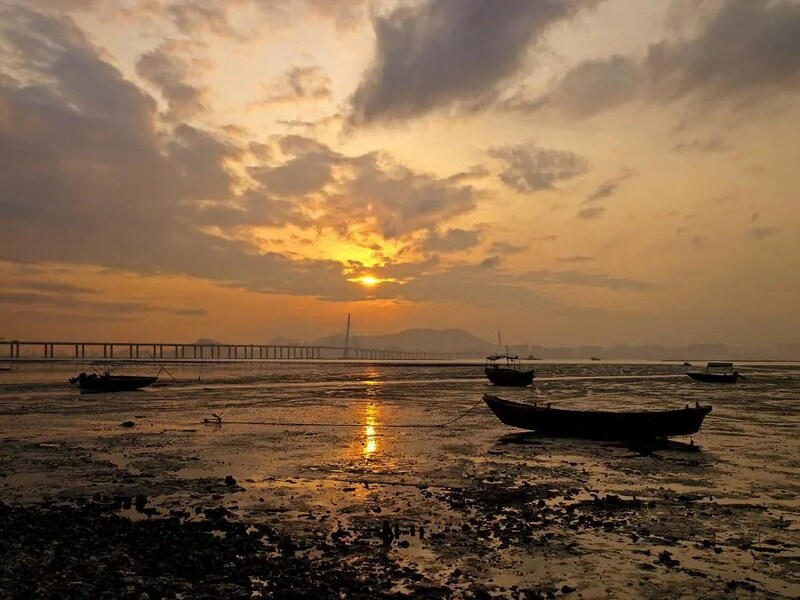 The old fishing boats, the floating rafts, the Shenzhen Bay Bridge, the beach on Ha Pak Nai and the sunset make it a perfect place for shutterbugs.